【Masa-note 2/3】My Internship in IPPO! “Very cool!”. This was what I thought when I saw the children in IPPO. Their eyes tell me how they concentrate and serious to practice Abacus. I am a university student so calculations that they do is really simple for me but…, I thought I should not compare myself with them. I can’t imagine what will they be like when they will be my age. They really enjoy their lessons. Actually, I hate calculations so I cannot help thinking that had I learned Abacus, I could enjoy calculation for sure! The scene: IPPO’s students are very focused. Picture: After Hop, Step and Jump, they will use these books where 9th grade is the lowest and 1st grade is the highest. Then how the class goes? The classes really act on ISHIDO-SHIKI. The style is really systematic. One by one children progress their level and thanks to the great care, they can learn at their best pace. The teachers master which explanation is most effective for children to understand and it seemed they grasp the students’ personality. They make the children think by themselves but never give up on children’s study. I think too much support won’t improve the children. On the other hand, too less can be a reason of being demotivated and lack of understanding. The balance is very important and IPPO has it. I’m sure this is why students here are so marvelous. I would like many people to know about this events. So we planned 2 events to let people know about abacus. We visited many schools and search the place to hold events, gather helpers and participants. 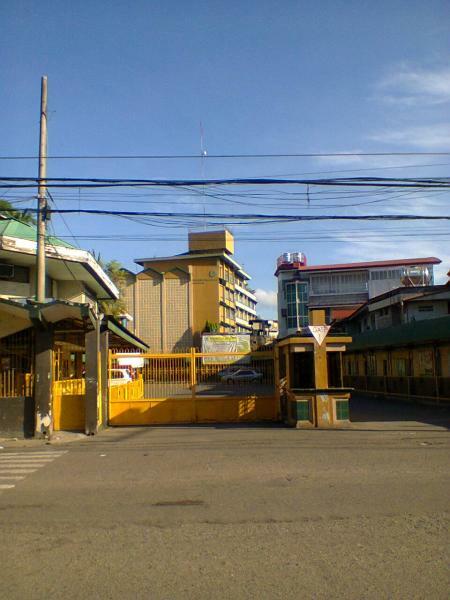 First, we went to University of San Carlos-South Campus but we couldn’t enter the campus because it was Saturday. Then, we visited Phil-Nippon Technical College (PNTC) office but it has already been moved to Manila. We thought it’s too early to go back so we changed the destination and head for Saint Theresa’s College (STC). In STC, we met the principal and we discuss IPPO’s Activities. We also visited Little Angels Montessori School and Living World Christian with Mei Ukai (IPPO’s head Abacus Teacher) to teach students. We also attended an assembly where many Japanese and Filipinos gathered and were very interested in Japan’s Culture. There I met many people and we could really spend a good time. The life here is a little hard for me but the connection with many people make this internship really substantial. I couldn’t know the importance of the connections between people without this internship. Finally, we could find places to hold events and helpers and we have already held one. Thanks to Mori-san, Biju’s mother, we could teach Japanese culture, Origami, and Abacus at Cambridge Child Develop Center. Children there were very cheerful and everybody showed interest in Japan. They looked really pleased with the abacus and many tried simple calculation. I was very happy to see they enjoyed. The scene: Me and Atsushi with IPPO teachers while demonstrating on how to teach Abacus to Cambridge students. Picture: This is Biju Mori while answering using an Abacus. The scene: Me and Atsushi at Cambridge Child Develop Center with Biju (wearing pink kimono) and her classmates. The scene: At Cambridge with Biju’s Mom. The next event is held on the 25th so I will prepare so that more children can enjoy it. I will discuss what happened in this event on my next note. The scene: Me and Atsushi with some students at Little Angels Montessori.